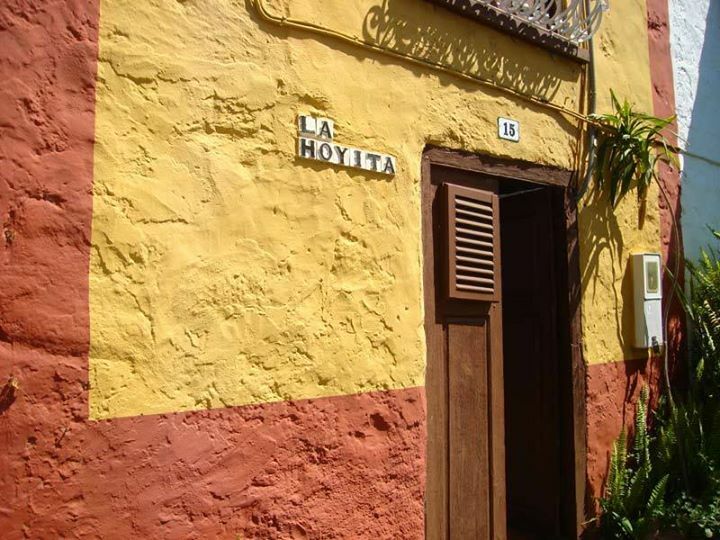 LA HOYITA COUNTRY HOUSE LODGE has typical Canaries architecture. 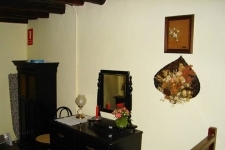 It is located in the la Hoya region, in the beautiful town of Güímar. 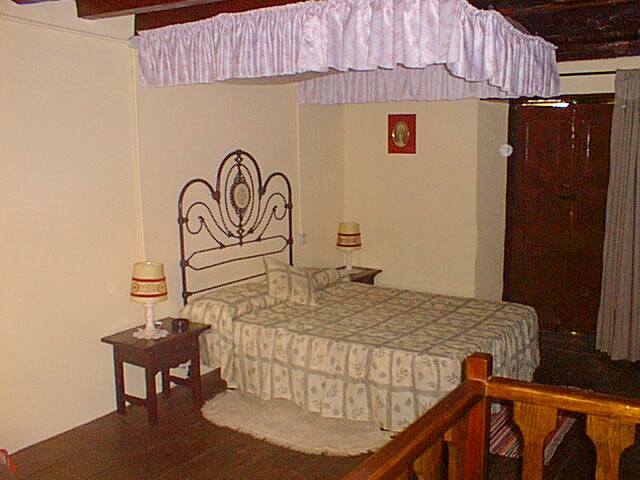 It was built in 1800 and totally refurbished in 1993, to guarantee its visitors maximum comfort. It has a floor area of 45 m². 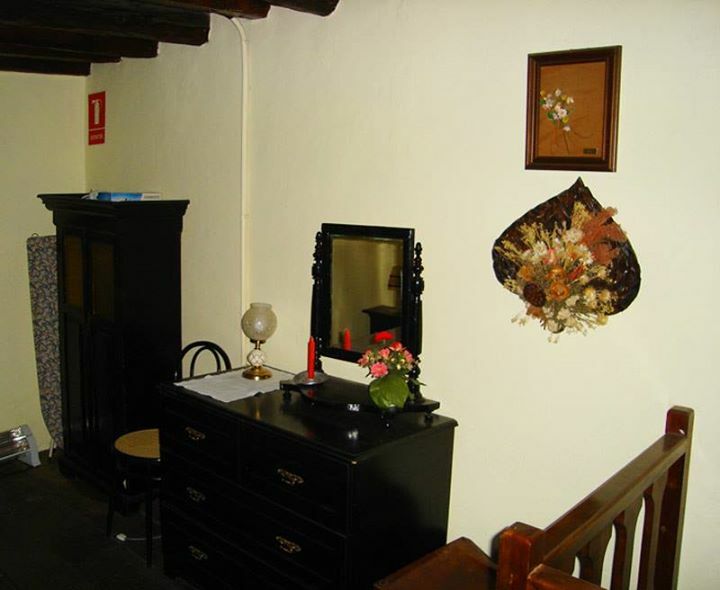 This small traditional house has two floors and is accessible in about 5 minutes by way of a small pathway. Its location makes this an ideal place to rest. 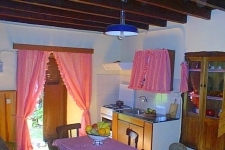 The house has room for two people occupying a double bedroom, located on the top floor and totally equipped for your comfort. Customers can also use the bath and shower, also located on this floor. 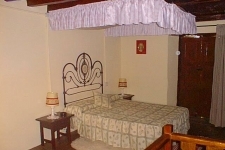 We also have a cot available, if required. 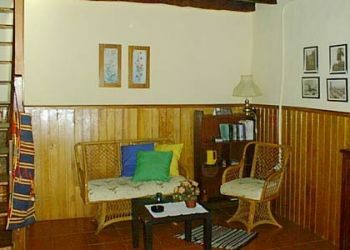 At LA HOYITA COUNTRY HOUSE LODGE you will be able to enjoy the following facilities: - Garden/terrace. - Green areas. - Solarium. - Garden furniture. 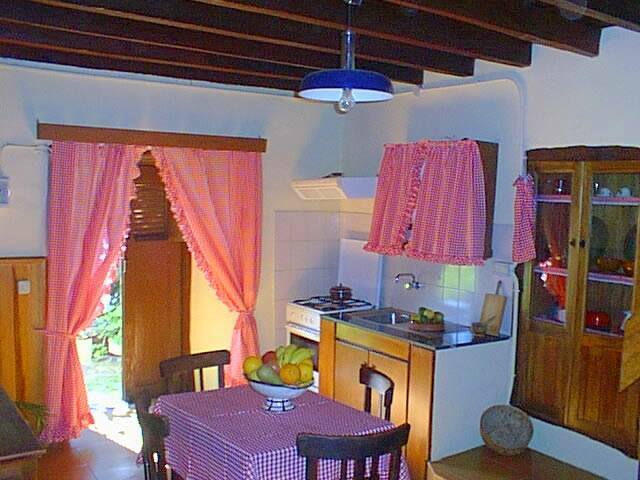 - Kitchen-dining room. 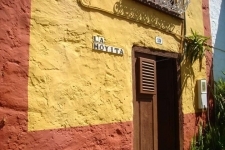 Güímar is one of the oldest towns in Tenerife. The conquerors could settle peacefully in the (Kingdom of Güímar) thanks to the pact of friendship arranged between their Captain and the governer Añaterve the Good. Its foundation is apparently owed to Francisco de Vargas, who gave it the name of "Río de Güimar" (Guimar River). The original village was in San Juan or Güímar de Arriba, near the water source and the chapel of San Juan Bautista (St. John the Baptist). However, once Pedro de Alarcón received his inheritance, the town started moving towards the coast, with many houses being built around the parish church of San Pedro. The parish was created between end the of the 15th, and the beginning of the 16th Centuries. The town also has a Dominican convent, erected in 1649, as were many other dwellings; we must not forget that it was here where the Virgin of the Candelaria appeared, and where she was first venerated. 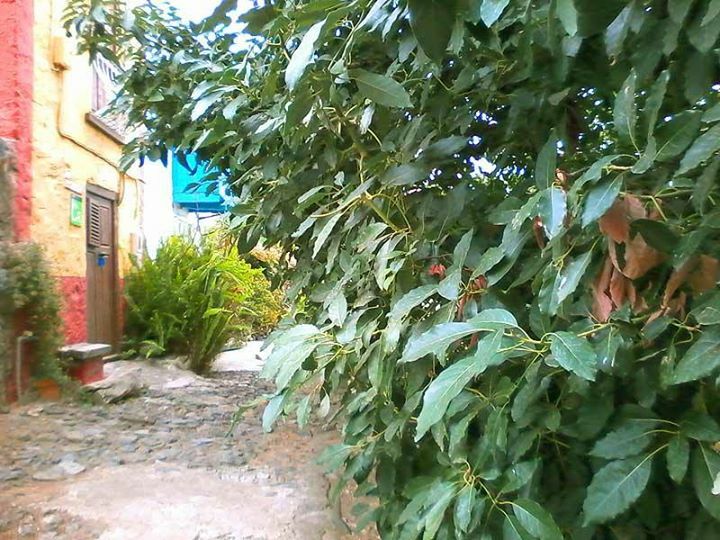 In Güímar there are numerous traces of its pre-Hispanic inhabitants. Las Cardoneras and Montaña Grande were home to an abundance of remains, whilst in la Cueva de la Arena, el Barranco de Badajoz and Guaza, Escobonal, Chicolea, etc., human remains have been found, making it a village with a cemetery. As is the case with other old towns on the islands, a stroll through the streets of Güímar is a pleasure in itself. The parochial church of San Pedro is architecturally beautiful, and, inside, still retains interesting statues among other sacred objects. 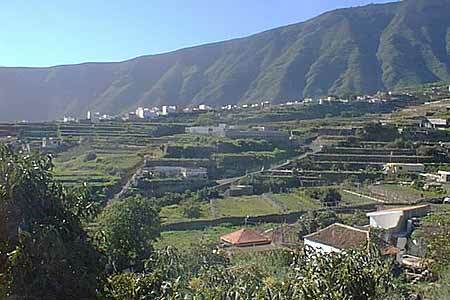 The area of Chinguaro is based essentially on agriculture and is very near to the main part of the city. The religious life of the town arose at the turn of the 15th Century. With the apparition of the Virgin of Socorro on the beaches of Chimisay, the population became centred, from then on, on taking the statue up to the winter residence of the (ruling family), where it was venerated and visited by the rest of the . 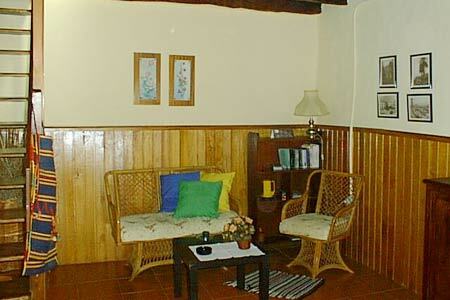 This residence is located next to deposits of fresh water, essential in early times of man. This place was known as Chinguaro. Becuase of its great wealth of archaeological deposits, it has today been declared cultural property. An archaeological park is being built. This site became a place of worship and pilgrimage for the natives prior to the arrival and conquest of the Canary Islands by the Castilians. 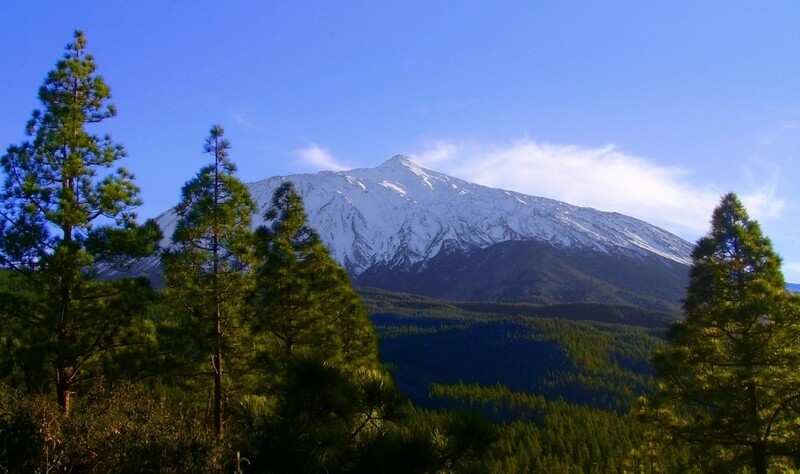 From the summits of Izaña (2,386 m) and up to an altitude of 1,200m, lies the Corona Forestal Nature Reserve, with a clear predominance of pine. On the other side, the areas stretching again from Izaña, up to 300 metres in La Ladera and 500 metres in the Güímar Valley, are included within a large protected area, known as St. Úrsula Slope; along with Los Órganos and the heights of the Güímar Valley. 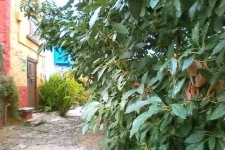 They are interesting countryside areas, rich in endemic species. 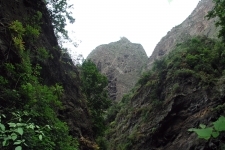 The natural area of the Güímar Karst brings together (large mountain) and other secondary volcanic areas, with their vast area of volcanic rock formations. It has great value in terms of geo-morphology, flora and fauna. 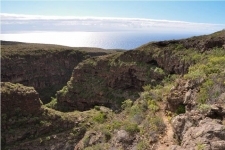 As the same time, the Herques Ravine, adjacent to Fasnia, is another protected nature area. GÜÍMAR KARST The Karst incorporates the volcanic cone. 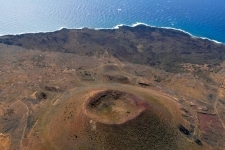 Montaña Grande has a crater 300 metres in diameter and an altitude of 276 metres, with a molten river that flows to the sea forming an altogether typical volcanic landscape. Its has typical low ground vegetation with more than fifty superior species, mainly of Cardonal and Tabaibal origin. There is also a cave formed by the explosion of a bubble of gas, called Cueva Honda (Deep Cave), a hundred metres in length and five metres high at most. The geomorphic and climatological characteristics of the land make this such a unique place that it has been declared a Special Nature Reserve. BARRANCO DE HERQUES (Herques' Ravine) The area of Herques' Ravine has been traditionally rich in caves with remains and artefacts. The settlements were always located in an area near water, and Herques offered this essential fluid as much in winter as in summer. 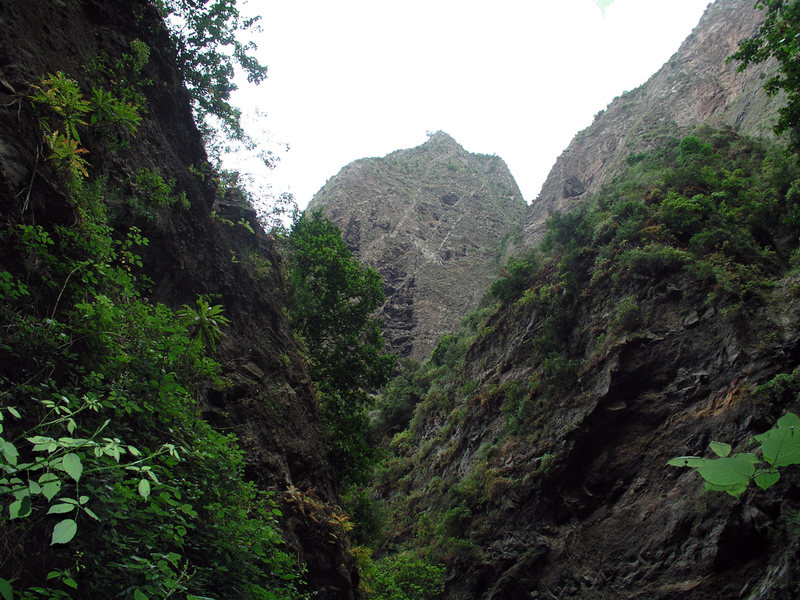 This ravine forms a natural boundary between the towns of Fasnia and Güímar. A great spectacle, with steep slopes and perfectly formed vertical escarpments created by floods which usually happen every winter, unleashing an uncontrollable force of water and cutting a deep gorge. 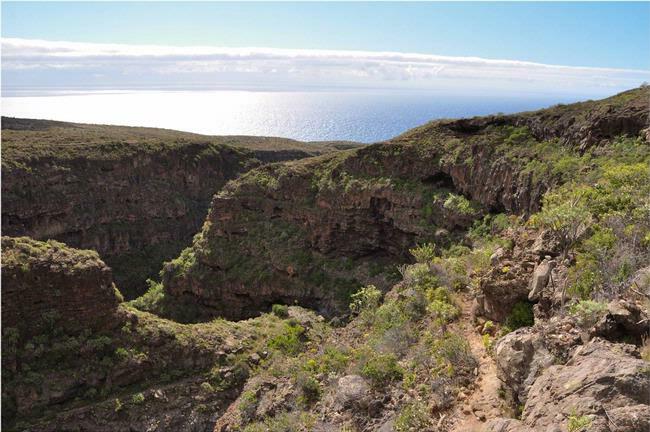 The ravine runs perpendicularly from the coast, rising from sea level to 2,300m at its summit. The ravine is currently protected under Law 12/87 as a Protected Nature Site. BADAJOZ RAVINE Located in the high part of the district, on the slopes of Güímar. It has areas of woodland with pine and fruit trees. It is within the Protected Nature Area of (the Seven Hills). 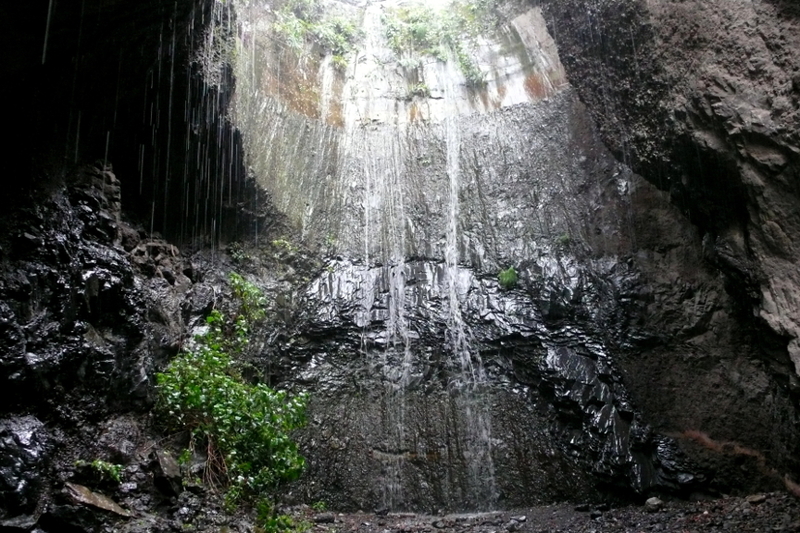 In it is the Cueva del Cañizo, an aboriginal cave that was a summer residence for the Menceyes de Güímar. It owes its name to its cane framework. 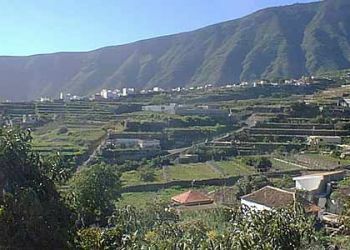 Its interest as a countryside area lies primarily in its local species of Canaries vegetation, in its spectacular vertical walls and the enclosed nature of the Ravine. Historically, the ravines of Badajoz and el Río were the natural providers of all the necessary water to irrigate the district's central and coastal cultivations. Over the years, this area has seen an interesting development in the way in which underground waters are extracted - from the end of the 19th Century up to the 1970s (galleries, wells, etc.). ARRASTRADERO TRAIL The Arrastradero trail gives access to the estates of Las Lajas or la Marquesa, called after its owner, the widow Marquise of Florida. The property is home to a house with the same name, in whose surroundings there is a centennial pine known as "Pino de la Marquesa". 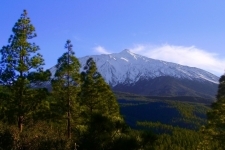 The road, called Arrastradero, recalls the intense use made of pine in this area, where resin production and wood-cutting were habitual practices.